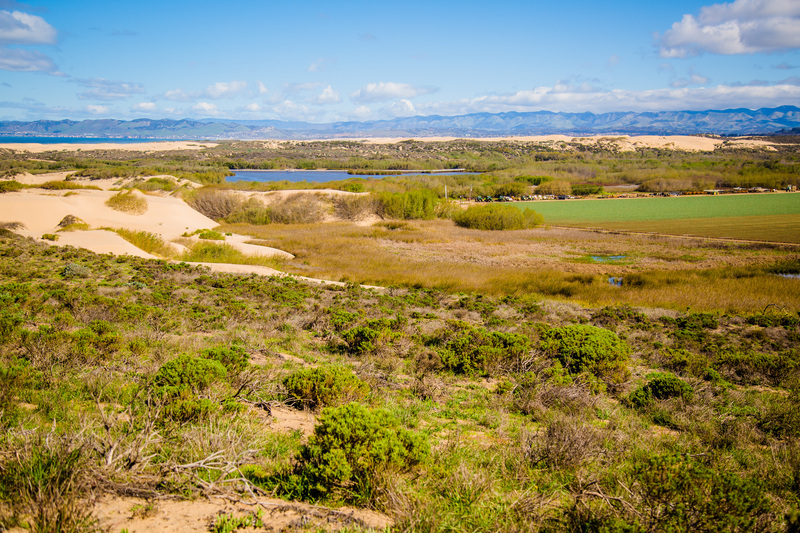 While on our field trip to Oso Flaco Lake last week, some students noticed a funny looking bird in the reeds. 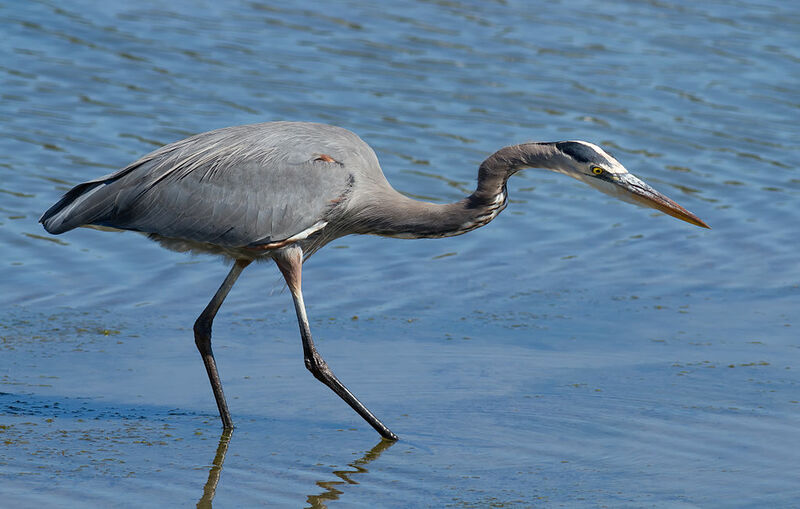 “Why is that bird standing like that?”, they asked of the green-feathered bird that appeared to be crouching over the water. 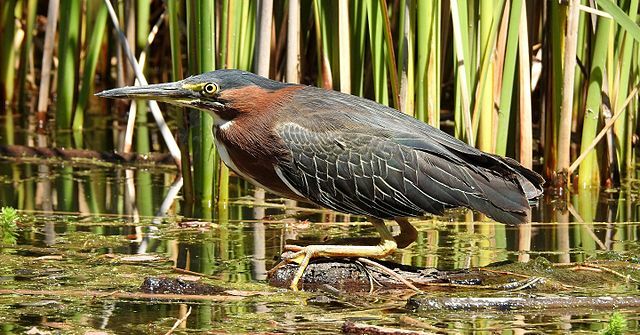 I explained that it was a Green Heron (Butorides virescens), and that it was probably on the lookout for some food. 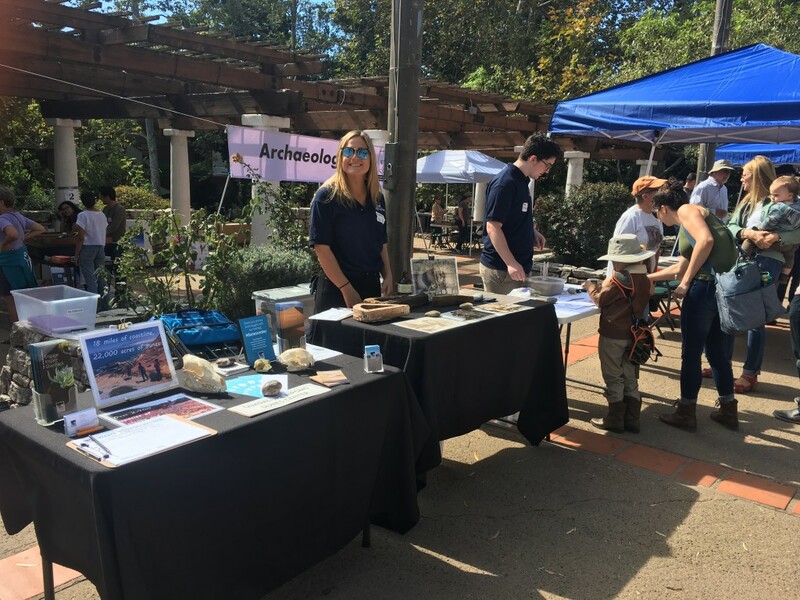 October is Archaeology Month here in California, and to kick it off the Dunes Center teamed up with San Luis Obispo County Archaeological Society (SLOCAS) to host the second annual Archaeology Day. 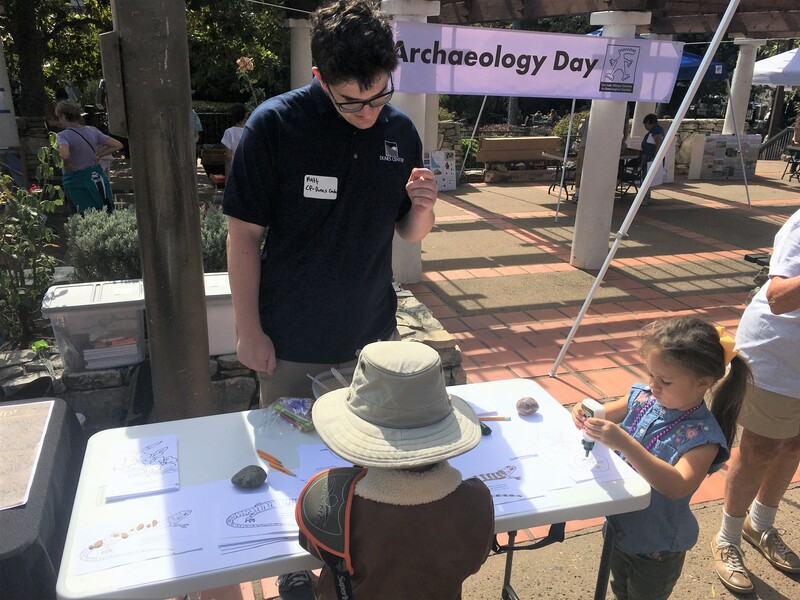 Over 380 community members joined us for some good old-fashioned dig-in-the-dirt fun and learned about the science of archaeology while earning their Junior Archaeologist badge. 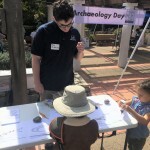 The passport-style activities had participants visiting stations that focused on different steps of the archaeological process from surveying to excavation to artifact analyzation. 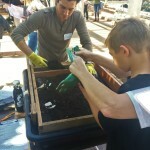 Once they completed each station and filled up their booklet, they had become certified Junior Archaeologists! 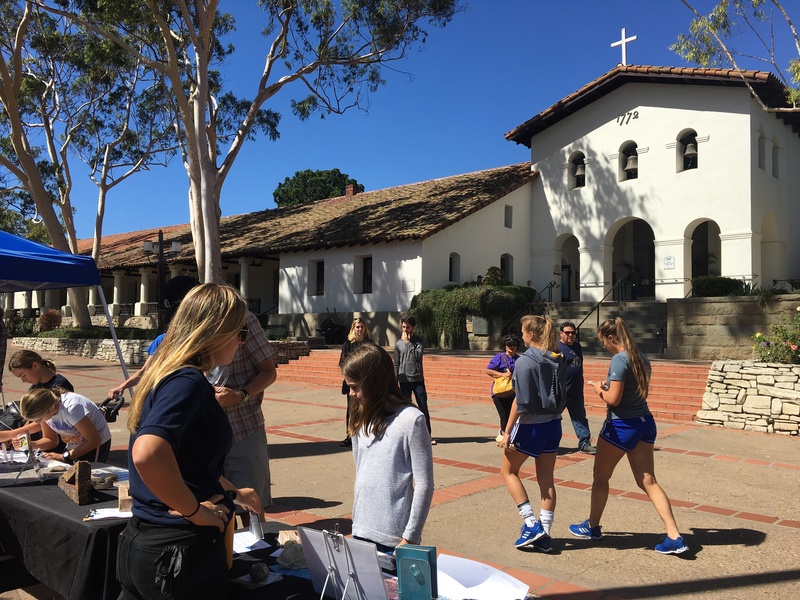 The Dunes Center hosted a booth near the entrance to the event where we were able to showcase the many programs we have to offer. 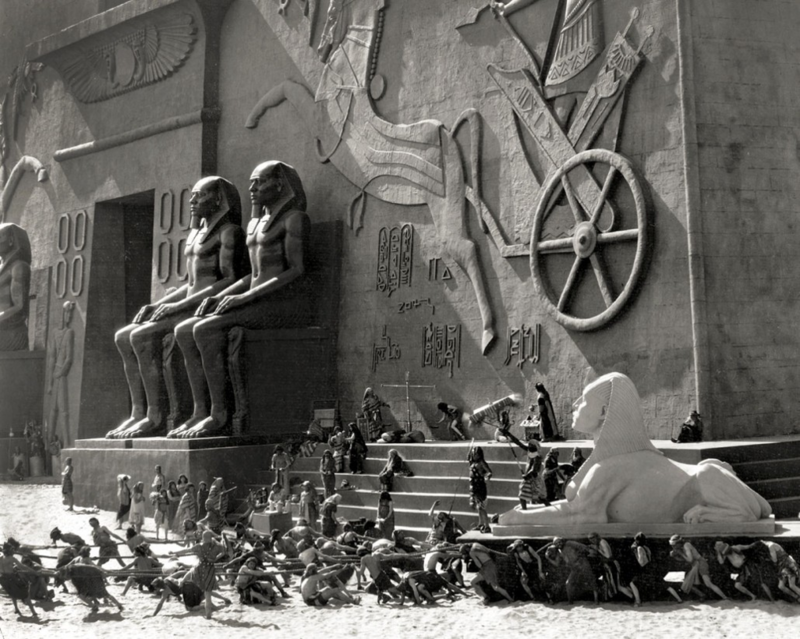 Our artifacts from Cecil B. DeMille’s 10 Commandments movie set along with our sand art station were a huge hit with passersby. 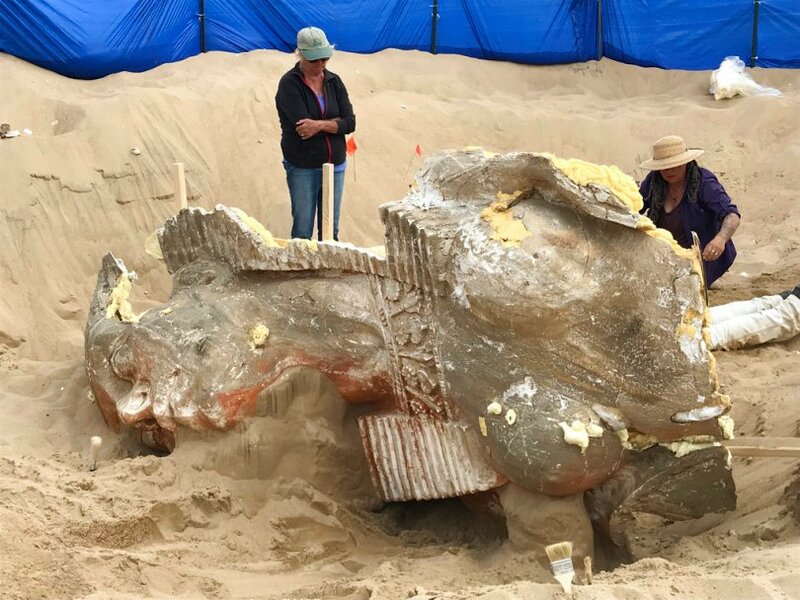 This wonderful event gave the Dunes Center a perfect avenue to show the public all the ways that we work with the community and bring awareness to our exciting new exhibits showcased in the museum. 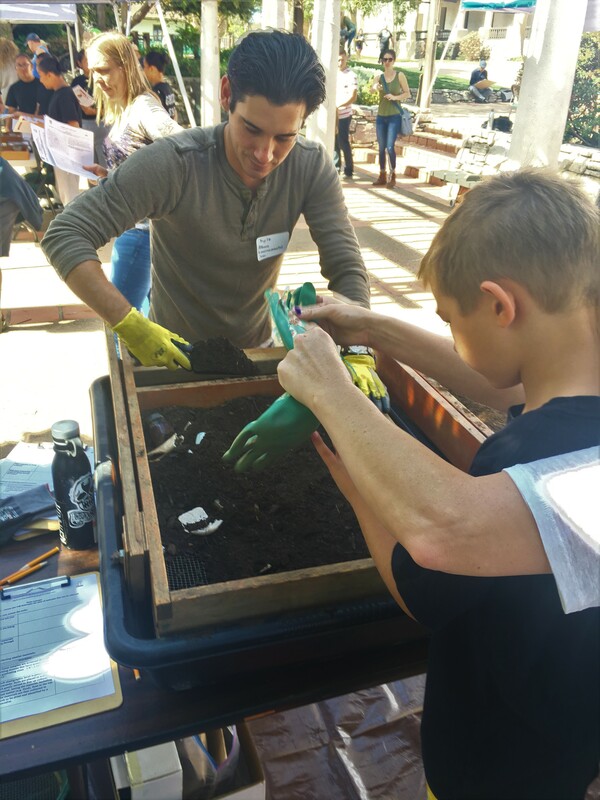 Overall, Archaeology Day was a huge success; fun was had by all and both kids and adults alike learned about what archaeology has to offer. Thank you to all who came out to celebrate the science of deciphering the past, and to those who didn’t – we’ll see you next year! 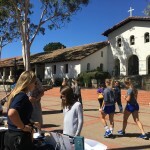 The Mission Plaza provided a great venue for an awesome day. Participants visited multiple stations in their quest to earn their badges. Junior Archaeologists create their own sand art.